Supportive management team, excellent benefits and lots of room to grow! 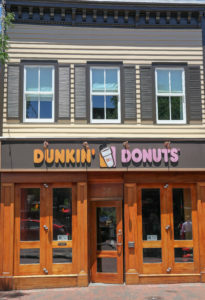 Join one of the fastest growing Dunkin’ Donuts Franchise Organizations in Annapolis and the Eastern Shore areas. We are aggressively building a first-in-class management team and currently seeking exceptional full-time restaurant managers. Our restaurant managers play a vital role in restaurant operations by recruiting and training the staff as well as customer satisfaction and maintaining corporate standards. We have locations throughout Maryland and are expanding rapidly! Growth Potential is Unlimited! We are only interested in candidates that are looking for a career and not a job! Looking to move up through the ranks and wanting to develop their skills.